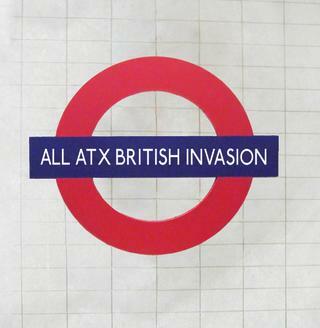 "British Invasion," a 19-song compilation CD from ALL ATX, features many of Austin&apos;s greatest acts covering hit songs from across the pond. "British Invasion" provides a glimpse into Austin&apos;s diverse music scene and the music that can be found on any given night in the city&apos;s more than 250 live music venues. Austin’s own Eric Johnson, best known for his masterful guitar playing and Grammy Award-winning instrumental performances, is also a talented vocalist and songwriter. Frequently recognized for his ability, Eric has been named “one of the most respected guitarists on the planet” by Guitar Player magazine. To hear more of Eric, check out his latest release Eric Johnson Europe Live. Christopher Cross made history with his 1980 self-titled debut album, winning five Grammy Awards, including – for the first time ever – the four most prestigious awards: Record of the Year, Album of the Year, Song of the Year, and Best New Artist. Now, 30+ years after his extraordinary emergence into the music business, Christopher continues to pour his spirit into his passion for recording and performing. To hear more of Christopher, check out his latest release Secret Ladder. Ruthie Foster has achieved national recognition for her talents as a vocalist and songwriter. She has been nominated for two Grammy Awards for Best Contemporary Blues Album and won the 2010 Blues Music Award for Female Artist of the Year. To hear more of Ruthie Foster, check out her latest release Promise of a Brand New Day. Shinyribs is the alternative-country-funk project and artistic continuation of Kevin Russell’s music career after making headway with the band The Gourds, who recently went on hiatus. To hear more of Shinyribs, check out their latest release Gulf Coast Museum. Patty Griffin smashed through the billboard and made her way to a Grammy for Best Traditional Gospel Album in 2010 with her sixth album Downtown Church. Her stripped-down songwriting style highlighting the folk music genre has led many artists, including Emmylou Harris and The Dixie Chicks, to cover her songs. To hear more of Patty, check out her latest releases Silver Bell and American Kid. Van Wilks’ talents as a guitarist led him to being voted into the Austin Chronicle’s Texas Music Hall of Fame. Austin’s mayor proclaimed November 6 as “Van Wilks Day,” and the Texas state legislature presented him with a Texas flag and plaque honoring his musical contributions to the state. To hear more of Van, check out his latest release Running from Ghosts. Guy Forsyth is a legendary harmonicist, songwriter, and blues vocalist who has shared the stage during his storied career with the likes of Ray Charles, B.B. King, Jimmie Vaughan, and Lucinda Williams. To hear more of Guy, check out his latest release The Freedom to Fall. Erin is an urban folk songstress who has grabbed Austin by the ears with her enchanting voice and jazz-folk couplet. She has played an extensive set of stages – well over 500 nationwide – and reached favorable critical acclaim. To hear more of Erin, check out her latest release Dreamy Weather. Ian began a successful career with the bands Small Faces and Faces and later worked with The Rolling Stones. This British legend and Rock and Roll Hall of Fame inductee called Austin his home. To hear more of Ian, check out his latest release United States. Austin icon and original punk rocker, Alejandro Escovedo, has a huge underground following and is cited by many popular artists as a strong influence in their work. To hear more of Alejandro, check out his latest release Big Station. Monte was named the best acoustic guitarist for three consecutive years at Austin’s South by Southwest music festival and was listed as one of the 50 greatest guitarists of all time by Guitar Player magazine in 2004. Presently, Monte is composing the music for Last Man Standing, an ABC sitcom starring Tim Allen – an avid fan of his work. To hear more of Monte, check out his latest release Tethered. Reckless Kelly is a country-rock band who rose to critical acclaim with their 2011 Grammy nominated seventh studio album Good Luck & True Love. They took home four Lone Star Music Awards and showcased three #1 singles on Texas Radio. To hear more of Reckless Kelly, check out their latest release Long Night Moon. A special chemistry and long-time bond brought Bruce Robison together with Kelly Willis. Throughout both of their successful solo careers, it wasn’t uncommon for the tandem to contribute to each other’s recorded releases and performances. The two came together for their 2013 release Cheater’s Game and received critical acclaim and national recognition. To hear more of Bruce Robison & Kelly Willis, check out their latest release Our Year. Kicking off his career with the renowned Texas super-group, Storyville, Malford quickly established himself as one of the most unique and soulful voices in the music industry. To hear more of Malford, check out his website MalfordMilliganMusic.com. Dave Sebree and his former band, Native Son, were voted “Best Jazz Band” by the Austin Chronicle four years in a row. He has since formed the Austin School of Music and has quietly become recognized as one of Austin’s most skilled guitarists. To hear more of Dave, check out his latest release Dog on a Roof. Black Pistol Fire’s sound has been compared to Kings of Leon, Creedence Clearwater Revival, and The Black Keys. Their music has been played regularly on hundreds of radio stations across the nation and has been featured on popular television shows like 90210, Suits, and Sons of Anarchy. To hear more of Black Pistol Fire, check out their latest release Hush or Howl. Amy Cook’s music has been featured on TV shows like Dawson’s Creek, Veronica Mars, Laguna Beach and The L Word. In 2009, a documentary following Amy and her band on tour was released by The Documentary Channel. To hear more of Amy Cook, check out her latest release Summer Skin. Formerly of the group Centro-matic, Will Johnson has been called “one of the most prolific artists in American indie rock” and has released close to forty records with various ensembles. To hear more of Will, check out his latest release Scorpion. Hector Ward & The Big Time is an original, nine-piece Latin grooves funk blues orchestra. As the son of Cuban refugees who met in Texas, Ward’s twenty years of experience in the Austin music scene, including his previous band Sigmund Fraud, are obvious in the band’s high energy, dance-floor filling shows and recordings. To hear more of Hector Ward & The Big Time, Check out their latest release Sum of All. Originally going to school to become a dancer, Dana found her art too choreographed and frustrating, turning her to a path toward music. Her floating vocals and powerful songwriting have propelled her to national and local recognition. To hear more of Dana, check out her latest release Public Hi-Fi Sessions 02. Brownout is the new Austin-based psych-funk collective of members from Grupo Fantastma, an 8-piece, Grammy Award-winning Latin revival orchestra. To hear more of Brownout, check out their latest album Brown Sabbath. Christopher Cross’s classic hits “Ride Like the Wind,” “Sailing,” and the Oscar-winning “Arthur’s Theme (Best That You Can Do)” from the film starring Liza Minelli and Dudley Moore remain staples on radio to this day. His new album Secret Ladder evokes the artistry of such great singer-songwriters as Joni Mitchell and Randy Newman while addressing contemporary concerns head-on – a combination which is sure to please his loyal fan base.